As Benjamin Franklin once said, “In this world, nothing can be said to be certain, except death and taxes.” I’m not a CPA (thankfully), but I do know a thing or two about taxes… and I mean property taxes. A property tax is a tax assessed on real estate by the local government (counties and cities). While property taxes in Georgia certainly aren’t cheap, our state actually falls on the lower end of the spectrum when compared to other states at #29 in the country for median property tax rates. In Georgia, the tax amount owed depends on the appraised market value of the property in combination with the millage rate for the county/city. I’m conjuring up my old real estate license course here! Assessed value x mil rate (varies by county/city) = Your tax bill. Market value is a theoretical notion of what your home would sell for in a normal market. This figure is also sometimes determined by the latest market sales price of the home. Because taxes are calculated into your monthly mortgage payment – also known as the PITI (principal, interest, taxes, and insurance) – having a clear understanding of how much your annual tax bill is incredibly important. For instance, a $300,000 home in unincorporated Forsyth County with no exemptions has an estimated annual tax bill of $3,177 – where a $300,000 home in City of Decatur/DeKalb with no exemptions is $6,500 – a difference of over $3,300! Divide that out over 12 months of payments and you’re looking at an additional $275 per MONTH. Again, these are estimates, but you get my point…. 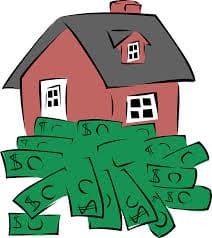 Another thing to note is that your property taxes are a FANTASTIC write-off when it comes time for tax season… and yes, you heard that correctly – property taxes are a tax deductible tax (gotta love the government!). Additionally, there are a few common exemptions to lower your property taxes including Homestead Exemptions, Senior Exemptions, Veterans Exemptions, and Disability Exemptions. Visit your county’s local property tax website for more information on these as well as further information on your county’s millage rate, assessments and more. Moral of the story :: When looking for homes be sure to take into consideration the property taxes and have a veteran agent on your side (like the amazing buyer specialist team at The Peters Company) to help you understand the full implications of the property taxes for where you live! ← Just Listed :: Gorgeous Townhome in Village Park at Brookhaven!